This entry is part of the “Deployment Quest” series. Let’s get started by walking through deploying a single monolithic application to a single server. No fancy deployment tools, no containers, etc. For this exercise, we’ll stick to traditional basics. We’re also going to make a few basic assumptions. First, you already have a server sufficiently powered to run this application and all of the necessary dependencies. Second, there is a network connection available allowing us to download relevant software as well as allow users to access the application once it’s up and running. We will cover a few network related topics, but we’ll be skipping over topics such as subnetting, routing, switching, etc. Step one is to prepare the server itself. To start, we’re going to need an operating system. I’m a Linux guy, so we’ll be using Linux throughout this whole series. It’s possible to deploy applications on Windows, and there are a lot of people who do. I don’t trust Windows enough to run services on it, so I’ll happily stick to Linux. There are a lot of different Linux distributions and we’re going to need to choose one. Taking a quick look at a top ten list, you’ll see some pretty well-known names such as Ubuntu, Redhat, CentOS, Suse, etc. I’m partial to Redhat and CentOS, so let’s use CentOS as our base. Awesome. So we have an OS, which we’ll just install and get rolling. But wait, how are we going to configure the OS? Are we using the default drive layout? Are we going to customize it? What about the software packages that are installed? Do we just install everything so we have it in case we ever need it? The answer to these questions depends, somewhat, on what you’re trying to accomplish. By default, most distributions seem to just dump all the space into the root drive, with a small carve out for swap. This provides a quick way to get going, but can lead to problems down the road. For instance, if a process spins out of control and writes a lot of data to the drive, it can fill up and result in degrading services, or worse, crashing. It also makes it harder to rebuild a server, if needed, as the entire drive needs to be reformatted versus specific mount points. My recommendation here would be to split up the drive into reasonable chunks. Specifically, I tend to create mount points for /home and /var/log at a minimum. Depending on the role of the server, it may be wise to create mount points for /tmp and /var/tmp as well to ensure temporary files don’t cause issues. 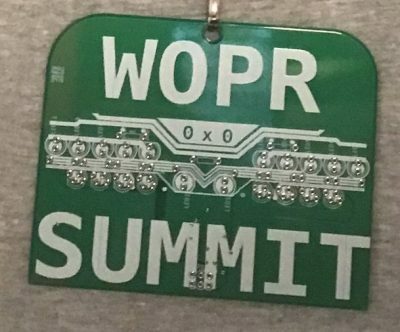 You’ll also likely need a mount point for the application you’re deploying. 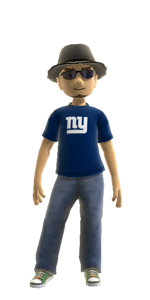 I tend to put software in /opt and, for web-based applications, /var/www. Ultimately, though, drive layouts tend to be personal choices. Next up, packages. Most installers provide a minimal install and that would be my recommendation. Adding new packages is relatively easy while removing packages can often be a time consuming process. Sure, you can simply remove a single package, but ensuring that all unused dependencies are uninstalled as well is often a fools errand. The purpose here is to ensure that you have what you need to run the application without adding a lot of extra packages that take up space, at best, and provide attackers with tools they can use, at worst. Take the time to go through all of the applications that run on startup. Are you sure you need to have cups running? What about portmap? Disable anything you’re not using, and go the extra mile to remove those packages from the system. You’ll also want to make a decision on security features such as SELinux. Yes, it’s complicated and can cause headaches, but the benefits are significant. I highly recommend running SELinux, or at least trying to deploy your application with it enabled first before deciding to remove it. Finally, you need to configure the network connection on the server. The majority of this is left as an exercise to the reader, but I will highlight a few things. Security is important and you’ll want to protect your server and the assets on the server. To that end, I highly recommend looking into some sort of firewall. CentOS ships with iptables which can handle that task for you, but you can also use a network firewall. Additionally, look into properly segmenting your network. This makes more sense for multi-server deployments, however, and doesn’t necessarily apply for this specific example. Spend the extra time to test that the network connection works. Doing this now before you get your application installed and running can save some headaches down the road. Can you ping from the server to the local network? How about to the Internet? Can you connect to the server from the local network? How about the Internet? If you cannot, then take the time to troubleshoot now. Check your IP, subnet, and firewall settings. Remember, ping uses ICMP while HTTP and SSH use TCP. It’s possible to allow one and not the other. Now that we have a server with a working operating system and network, we should be ready to deploy our application. While different applications tend to be unique in how they’re deployed, there are a number of common tasks you should be looking at. From an operational standpoint, ensure that the mount points your application is installed on have sufficient space for both the application and any temporary and permanent data that will be written. Some applications write log files and you’ll want to ensure those are put in a place where they can be handled appropriately. You’ll also want to make sure log rotation is handled so they don’t grow endlessly or become too large to manage. On the security end of things, there are a number of items to look out for. Check the ownership of the files you’re deployed and ensure they’re owned by a user with only the privileges necessary to run the application. You’ll also want to check the SELinux labels to ensure they’re in the correct groups. Finally, check the user your application is running as. Again, you want this to be a user with the least privileges necessary to run the application. The goal is to ensure that if an attacker is able to get access to the server, they end up with a user account that has insufficient privileges to do anything malicious. SELinux assists here in that the user will be prevented from accessing anything outside of the scope of the groups assigned. And now, with all of this in place, test the application and debug accordingly. Congrats, you have a running application that you can build on in the future. So, what have we accomplished here? And what are the pros/cons of deploying something like this? We’ve deployed a simple application on a single server with some security in place to prevent attackers from gaining a foothold on the system. There’s a limit to how secure we can make this, though, since it’s a single server. On the positive side, this is a very simplistic setup. A single server to manage, only one ingress and egress point, and we’ve minimized the packages installed on the system. On the other hand, if an attacker can gain a foothold, they’ll have access to everything. A single server is also a single point of failure, so if something goes wrong, your application will be down until it’s fixed. A setup like this is good for development and can be a good starting point for hobbyist admins. There are more secure and resilient ways to deploy applications that we’ll cover in a future Deployment Quest entry. On March 1st, 2019, an eclectic group of diverse individuals descended upon Bally’s Hotel in Atlantic City, NJ. Their purpose? Attending a new conference melding hardware, software, and security. 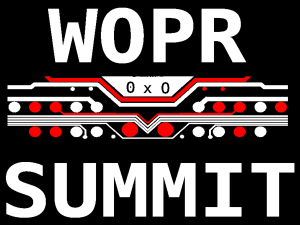 A conference called WOPR Summit. 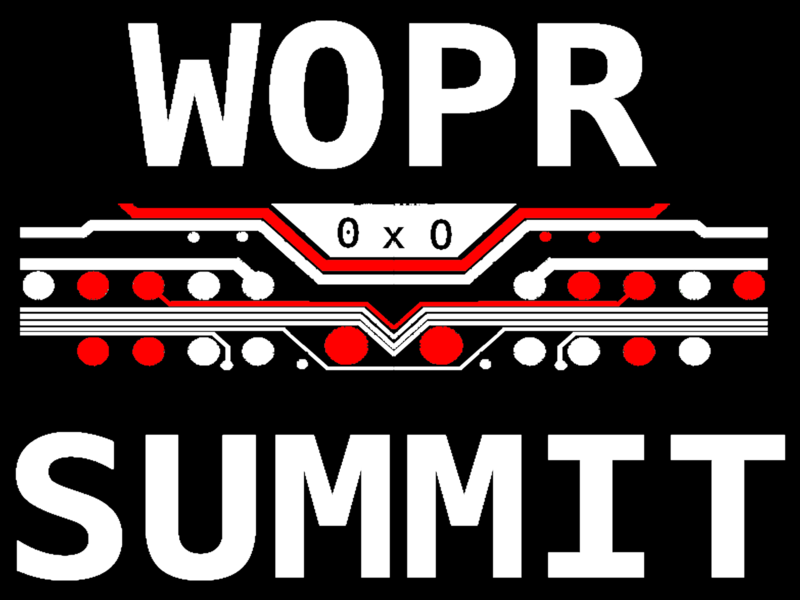 I had the good fortune to both attend and volunteer at this fledgling conference. 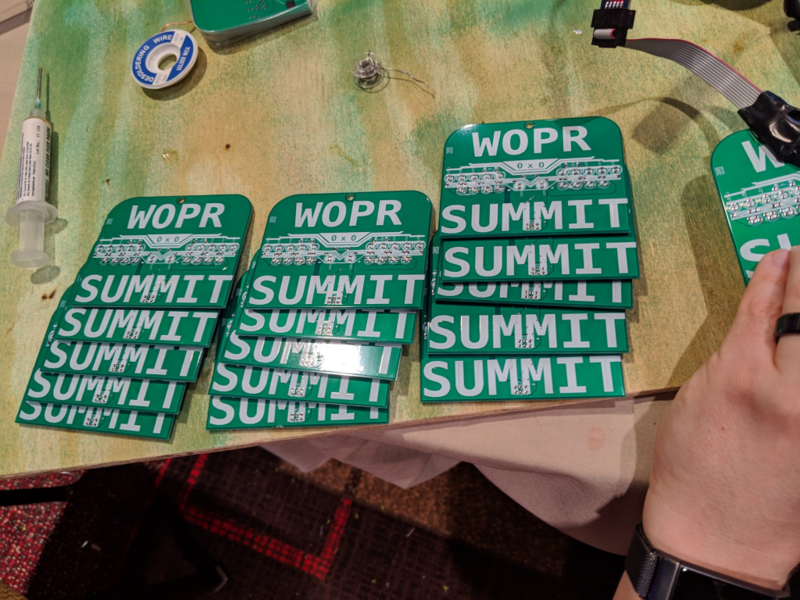 Upon arriving at the registration desk, attendees were greeted by yours truly who provided them with lanyards, stickers, and a badge that doubles as a maker project. And for those unfamiliar with the black art of soldering, fear not! BiaSciLab to the rescue! 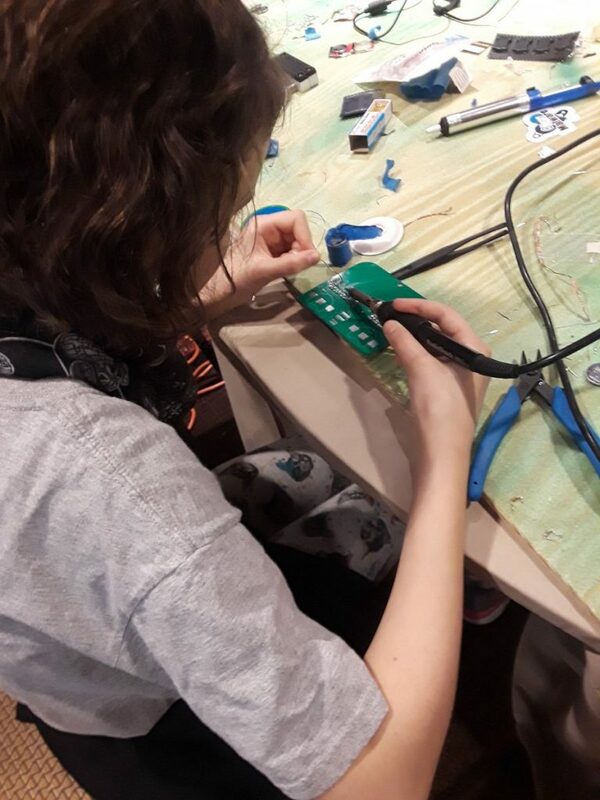 Our resident soldering instructor, Bia, held several soldering workshops throughout the conference, providing detailed instruction on how to become a master at fusing small metal bits together with a strong bond of liquid metal. Bia is an amazing teacher and was able to help a lot of people learn this essential life skill. She even brought her own soldering kits that you can read about here. Not into making things? Not to worry, we had that covered as well. Throughout the conference there were both talks and workshops on a variety of topics. 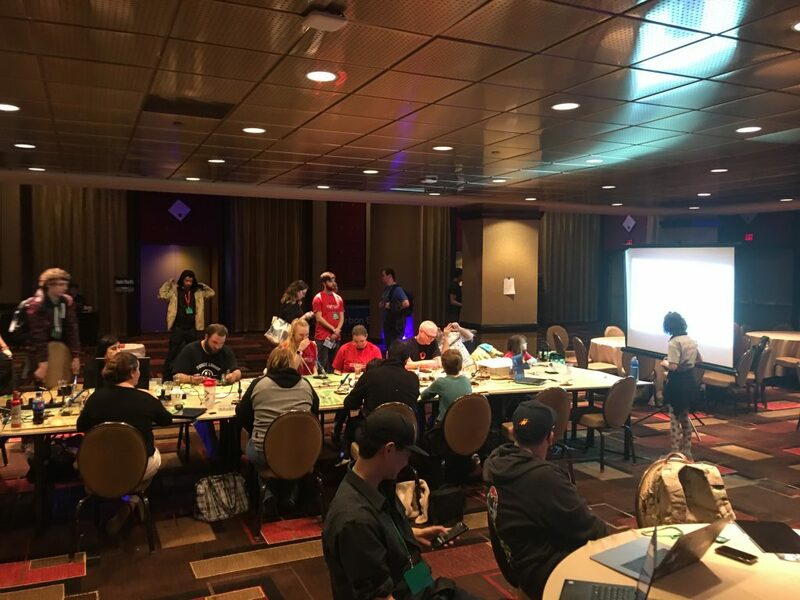 Workshops included topics such as NFC hacking, monitoring and incident response using OSQuery, developing prototypes, and reverse engineering. 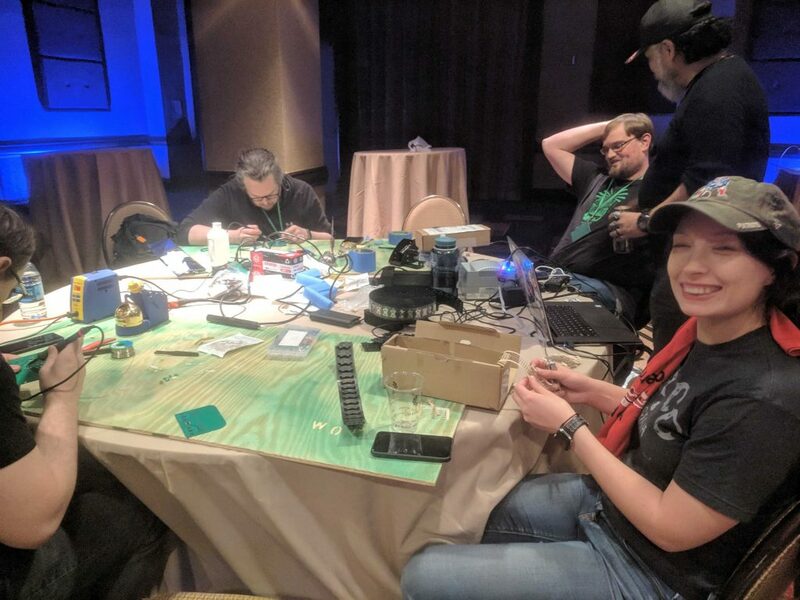 Talks covered similar topics including presentations on Shodan, biohacking with c00p3r, and a peek behind the scenes of the security industry. 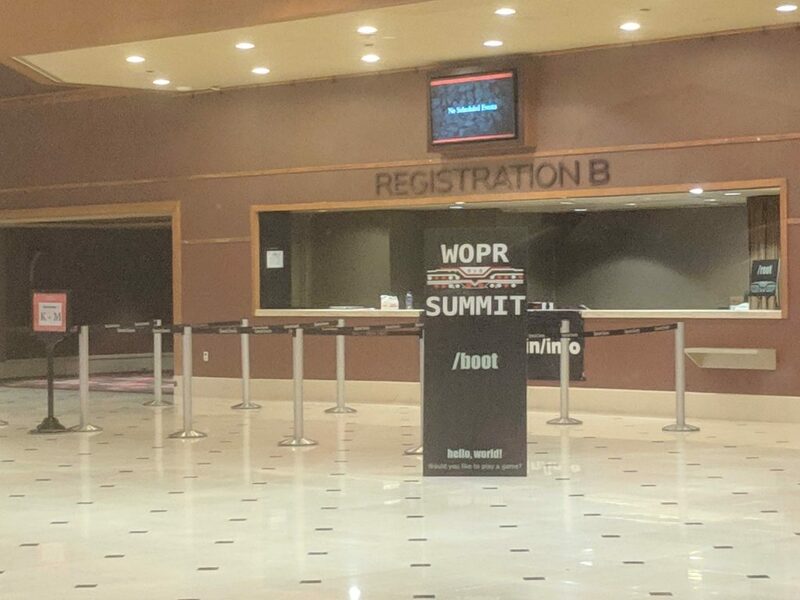 Overall, the conference was an amazing success and quite well run for a first-time con. There are a lot of lessons learned and many suggestions on how to improve it for next year. Planning has already begun and we hope to see you there! 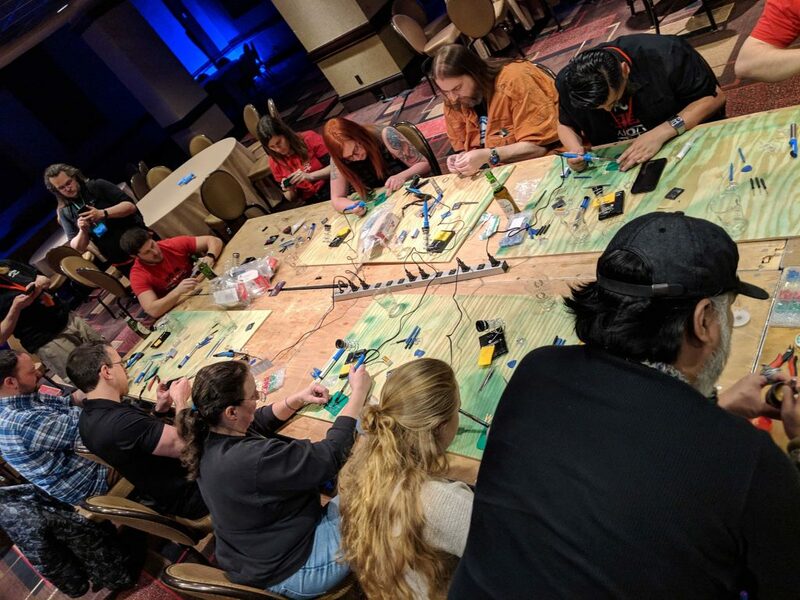 Author Jason FrisvoldPosted on March 7, 2019 March 7, 2019 Categories TechnologyTags conference, hardware, make, security, woprsummitLeave a comment on A Strange Game. Does it do the thing? Back in 2012 I gave a talk at Derbycon 2.0. This was my first infosec talk and I was a little nervous, to say the least. Anyway, I described a system I wanted to write that handled distributed baseline scanning. After a lot of starts and stops, I finished a basic 1.0 version in 2014. It’s still quite rough and I’ve since been working, intermittently, on making the system more robust and solid. I’ve been working on a python replacement for the GUI as well, instead of the current PHP one. The repository is located here, if you’re interested in taking a look. Why am I telling you all of this? Well, as part of the updates I’m making, I wanted to do things the “right way” and make sure I have unit testing in place before I start making additional changes to the code. Problem is, while I learned about unit testing, I’ve never really implemented it in any meaningful way, so this is a bit new to me. So why unit testing? Well, the hypothesis is that by creating tests that check every line of code, you ensure that the code is working as expected. Thus, if the tests pass, then the code should be solid and bug free. In reality, this is rarely the case. Tests can be just as flawed as any other code. Additionally, you may miss testing certain corner cases and miss potential bugs. In the end, the general consensus is that unit testing is a complicated religious argument. Simple enough, just a simple function to return the value of two numbers added together. Let’s create some test cases, shall we? What we have here are two simple test cases. First, we test to make sure that if we call the add function with two values, 1 and 1, we get a 2 as a return value. Second, we test that providing the same values as input does not return a 3. Simple, right? But have we really tested all of the corner cases? What happens if we feed the function a negative? How about a non-numeric value? Are there cases where we can cause an exception? To be fair, the original function is poorly written and is merely being used as a simple example. This is the problem with contrived examples, of course. They miss important details, often simply things too much, and can lead to beginners making big mistakes when using them as teaching tools. So please, be aware, the above code really isn’t very good code. It’s intended to be simple to understand. Let’s take a look at some “real” code directly from my distributed scanner project. This particular code is something I found on Stack Overflow when I was looking for a way to identify whether a process was still running or not. """Check whether pid exists in the current process table. # in the process group of the calling process. # to know that in a portable fashion. That’s relatively simple. We verify that False is returned for a negative PID and a ValueError is returned for a PID of zero. We also test that a TypeError is returned if we don’t provide an integer value. What’s left is handling a valid PID and testing that it returns True for a running process and False otherwise. 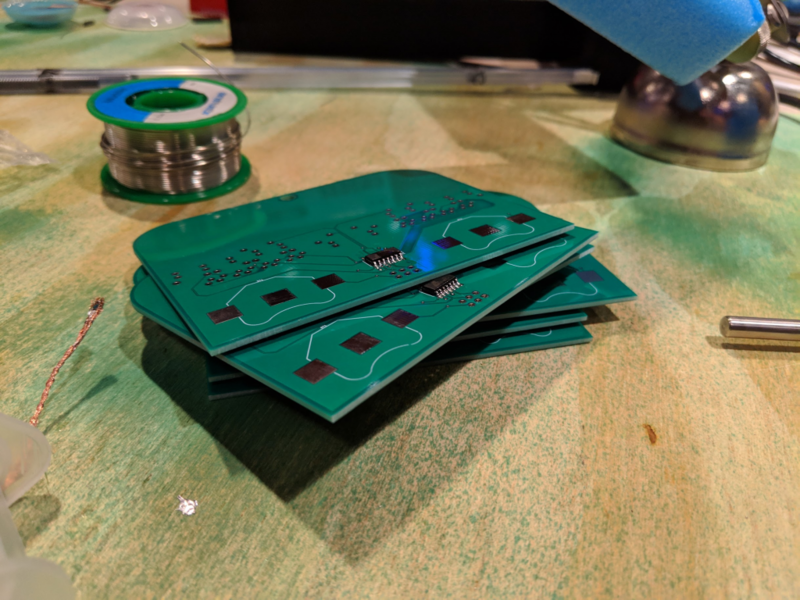 In order to test the rest, we could go through a lot of elaborate setup to start a process, get the PID, and then test our code, but there’s a lot that can go wrong there. Additionally, we’re looking to test our logic and not the entirety of another module. So, what we really want is a way to provide an arbitrary return value for a given call. Enter the mock module. The mock module is part of the unittest framework in python. Essentially, the mock module allows you to identify a call or an object that you want to create a fake version of, and then provide the behavior you’re expecting that mocked version to have. So, for instance, you can mock a function call and simply provide the return value you’re looking for instead of having to call the function directly. This functionality allows you to precisely test your logic versus doing a deeper integration test. To finish up our testing code for the pid_exists() function, we want to mock the os.kill() function and have it return specific values so we can check the various branches of code we have. The above code tests all of the branching available in the rest of the code, verifying the logic we’ve written. The code should be pretty straightforward. The return_value attribute of a mock object directly defines what we want the mocked function to recall while the side_effect attribute allows us to throw an exception in response to the function call. With those two features of a mocked object, we’re able to successfully test the rest of the cases we need. This little journey to learn how to write unit tests has been fun and informative. I just need to finish up the rest of the code, striving to hit as close to 100% coverage as I can while keeping the test cases reasonable. It’s taken a while to get going, but the more code I’ve been writing, the faster and more accurate I’m getting. As they say, “practice makes perfect,” though I’d settle with functionally complete and relatively bug-free. One final word of caution. I’m a sole developer working on this code, so I’m the only one around to write test cases. In a larger shop, the originator of the logic should not be the one writing the test cases. The reason for this is that the original coder typically knows their code quite well and has expectations regarding how the code will be used. For instance, I’m expecting that anyone calling the add() function I wrote above to only supply numbers and I haven’t added any sort of type checking or input validation. As a result, I avoided adding test cases that supply invalid inputs, knowing that would fail. Someone else writing the test cases would likely have provided a number of different inputs and found that input validation was missing. So if you’re in a larger shop, do yourself a favor and have someone else write your test cases. And to ensure they provide robust test cases, only provide the function prototypes and not the full function definitions. Author Jason FrisvoldPosted on January 4, 2019 January 4, 2019 Categories Programming, TechnologyTags programming, python, technology, unit testingLeave a comment on Does it do the thing? It looks a bit different around here lately. Sure, it’s roughly the same as what it was, but something is off.. A little bit here and there, so what changed? Well, to tell the truth, I’ve switched blogging platforms. Don’t get me wrong, I love Serendipity. I’ve used it for years, love the features, love the simplicity. Unfortunately, Serendipity doesn’t have the greatest support for offline blogging, updates are relatively sparse, and it’s limited to just blogging. So I decided it’s time for a change. Ok. Deep breath. I’ve switched to WordPress. Yes, yes, I know. I’ve decried WordPress as an insecure platform for a long time, but I’ve somewhat changed my thinking. The team at WordPress has done a great job ensuring the core platform is secure and they’re actively working to help older installations upgrade to newer releases. Plugins are where the majority of the security issues exist these days, and many of the more popular plugins are being actively scanned for security issues. So, overall, the platform has moved forward with respect to security and is more than viable. I’ve also been leveraging Docker in recent years. We’ll definitely be talking about Docker in the coming days/weeks, so I won’t go into it here. 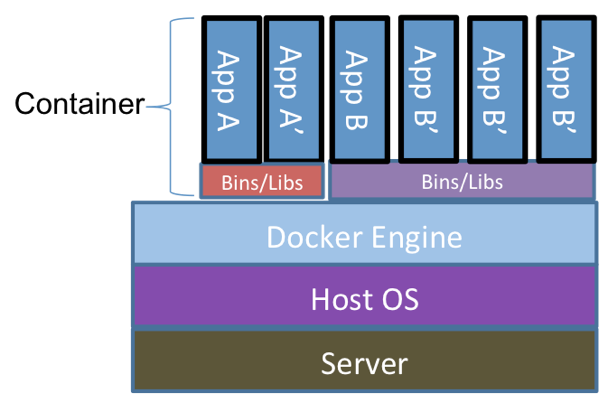 Suffice it to say, Docker helps enhance the overall security of the system while simultaneously making it a breeze to deploy new software and keep it up to date. So, enjoy the new digs, and hopefully more changes will be coming in the near future. WordPress is capable of doing more than just blogging and I’m planning on exploring some of those capabilities a bit more. This is very much a continuing transition, so if you see something that’s off, please leave a comment and I’ll take a look. Author Jason FrisvoldPosted on November 15, 2018 Categories TechnologyTags blogging, software, technologyLeave a comment on So, new digs? Awfully dusty in here. Almost as if this place were abandoned. Of course, that was never the case, was it. Just a hiatus of sorts. A reprieve from the noise and the harshness of reality. But it’s time, now. Time to whip this place back into shape. Time to put the pieces back together. Time to build something new and interesting. I know it’s been a while, but it’s time to get back in the habit. I’ve learned a lot these past years and I want to start sharing it. Soon. Have you ever had to fix a broken item and you didn’t have the right parts? Instead of just giving up, you looked around and found something that would work for the time being. Occasionally, you come back later and fix it the right way, but more often than not, that fix stays in place indefinitely. Or, perhaps you’ve found a novel new use for a device. It wasn’t built for that purpose, but you figured out that it fit the exact use you had in mind. 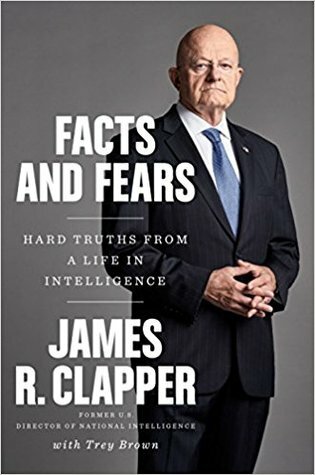 1. a person who uses computers to gain unauthorized access to data. (informal) an enthusiastic and skillful computer programmer or user. 2. a person or thing that hacks or cuts roughly. And there are more. What’s interesting here is that depending on where you look, the word hacker means different things. It has become a pretty contentious word, mostly because the media has, over time, used it to describe the actions of a particular type of person. Specifically, hacker is often used to describe the criminal actions of a person who gains unauthorized access to computer systems. But make no mistake, the media is completely wrong on this and they’re using the word improperly. Sure, the person who broke into that computer system and stole all of that data is most likely a hacker. But, first and foremost, that person is a criminal. Being a hacker is a lifestyle and, in many cases, a career choice. Much like being a lawyer or a doctor is a career choice. Why then is hacker used as a negative term to identify criminal activity and not doctor or lawyer? There are plenty of instances where doctors, lawyers, and people from a wide variety of professions have indulged in criminal activity. 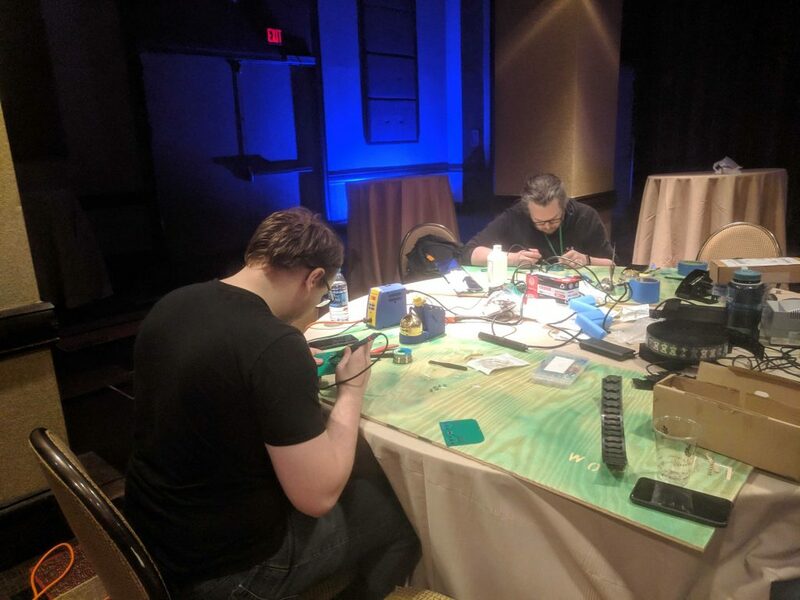 My years in the hacker world have made me realize both the problem and the beauty about hackers: They just can’t see something broken in the world and leave it be. They are compelled to either exploit it or try and change it, and so they find the vulnerable aspects in our rapidly changing world. They make us, they force us to fix things or demand something better, and I think we need them to do just that, because after all, it is not information that wants to be free, it’s us. It’s time to stop letting the media use this word improperly. It’s time to take back what is ours. Hacker has long been a term used to describe those we look up to, those we seek to emulate. It is a term we hold dear, a term we seek to defend. When Loyd Blankenship was arrested in 1986, he wrote what has become known as the Hacker’s Manifesto. This document, often misunderstood, describes the struggle many of us went through, and the joy of discovering something we could call our own. Yes, we’re often misunderstood. Yes, we’ve been marginalized for a long time. But times have changed since then and our culture is strong and growing.